Texas has no shortage of odd liquor laws. Texans have long had to deal with regulations that prohibit alcohol sales on Sunday, spawn hour-long beer runs in the middle of large dry counties and create a jigsaw puzzle of small “wet” and “dry” municipalities overlaying large urban areas. Growing up in Dallas, we learned at an early age what side of the street you can buy beer on and what side you cannot, or which suburbs were allowed to sell alcohol and which ones were not. Those same cockamamy liquor laws, along with a handful of bad zoning laws, is how Dallas found itself at the beginning of 2011 as the largest city in the United States without a microbrewery. Knowing Dallas was ripe for a beer scene, a handful of beer enthusiasts rallied city hall to open up Dallas for beer production. Three breweries opened in 2011. Today Dallas has a thriving beer scene with almost 50 breweries in the metro area and no signs of slowing down. 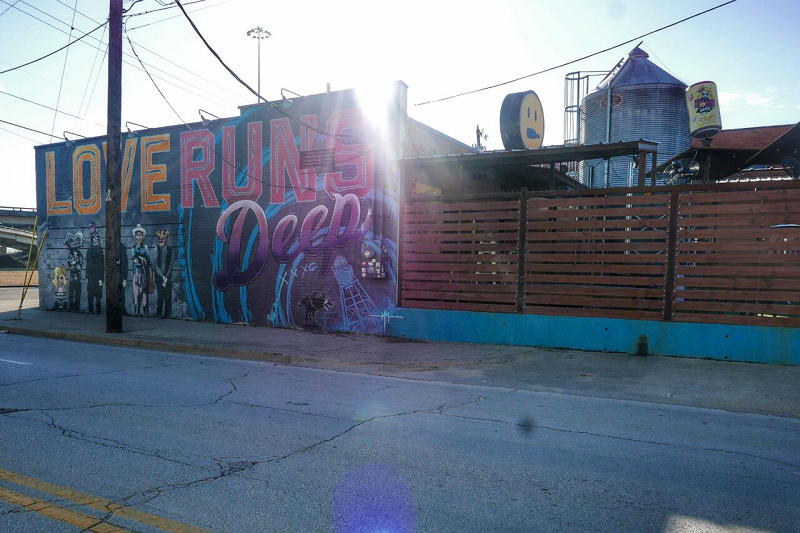 Start your weekend in Deep Ellum, one of Dallas’ oldest, most artistic neighborhoods. Just east of downtown, Deep Ellum has always been the heart of the city’s counterculture and music scene with remnants of the 1920s jazz and blues era and the 1980s punk and grunge era lingering in bars, cafes and live music venues. No trip to Texas would be complete without barbecue. Pecan Lodge (2702 Main St.) in the middle of Deep Ellum is a restaurant known for some of the state’s best barbecue. Lines form early for what Texas Monthly named one of the top four barbecue joints in the world, but don’t let the lines deter you. The smoked brisket, handmade sausages and fried okra are not to be missed. Rent a bike across the street at Local Hub (2633 Main St.) and ride a mile to the Sante Fe Trail. The 4-mile trail runs through colorful east Dallas neighborhoods and wooded parks before connecting to the White Rock Lake Park Loop Trail. Soak up some of the best scenery Dallas has to offer along this nine-mile lakeside trail. There are several stops for water and beer along the way, including The LOT (7530 E. Grand Ave.), a neighborhood beer garden with 16 mostly local beers on tap. 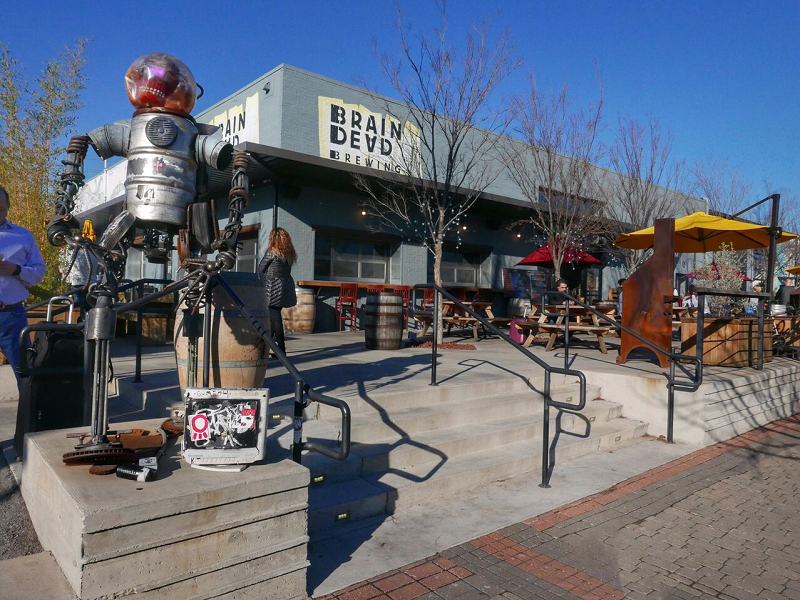 Bike back to Deep Ellum and grab a seat at one of the wooden picnic tables at Braindead Brewing (2625 Main St.). The large wraparound patio is the perfect perch to people-watch as you sip on one of 15 in-house brews or one of 17 rotating guest craft beers. Not a grungy hole in the wall like many Deep Ellum establishments, Braindead is known for its food almost as much as its beer. Try the Chile Relleno “Burger,” a cheese-stuffed, roasted poblano pepper served with ranchero sauce, avocado and fried egg. If you are still craving meat, try the Cuban, a sandwich stuffed with carnita pork, Dr Pepper-glazed ham and Gruyere. End the evening at Dallas’ mammoth brewery Deep Ellum Brewing Co. (2823 St. Louis St.). Opening on the industrial edge of Deep Ellum in 2011, this was Dallas’ first microbrewery. With its hoppy beer, brightly colored cans and tongue-in-cheek marketing campaigns, Deep Ellum Brewing taught Dallas that beer drinking can be cool. Don’t miss brunch at the Anvil Pub (2638 Elm St.) where you can choose from traditional options like biscuits with roasted chipotle, spiced sausage gravy or French toast with apples, bacon and salted caramel. 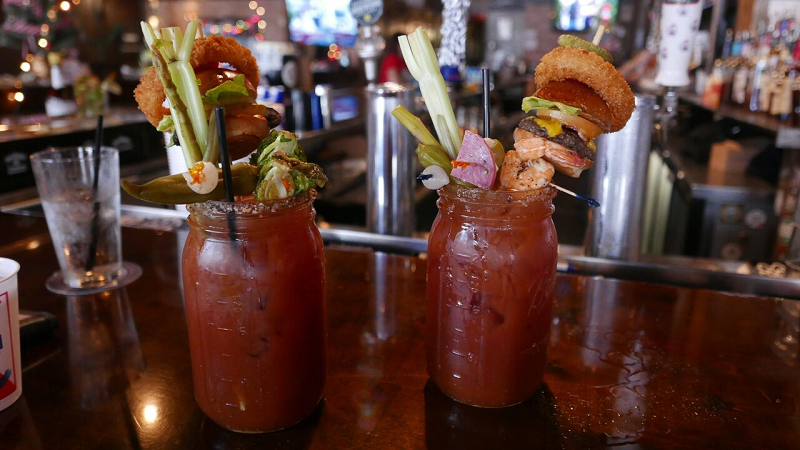 The tatted bartenders at the Irish pub, however, suggest the F* Brunch menu, which offers a 32-ounce Bloody Mary, Sangria, Screwdriver or Mimosa, with the drink topped with a slew of items, including a cheeseburger slider, fried shrimp, onion rings and a cinnamon roll. The F* Brunch items also come with a small Pabst Blue Ribbon. Walk off the meal with a mile stroll to Klyde Warren Park (2012 Woodall Rodgers Freeway). In 2012 Dallas built a deck over one of its ugliest sunken freeways, “planted grass” (it is actually artificial turf so it looks lush year-round, very Dallas) and in doing so created one of the city’s crown jewels. The pedestrian-friendly park offers a great lawn, free book and magazine rentals, countless food trucks, a performance pavilion, fountains, game areas, a dog park and a botanical garden. On a nice day, it is the perfect place to sit awhile as the booze wears off. For art buffs, the Dallas Museum of Art, the Crow Collection of Asian Art and the Nasher Sculpture Center are a two-block walk from the park. Two miles northwest of downtown Dallas lies an industrial hub for wholesale interior design showrooms known as the Design District. As more and more breweries start popping up in the old warehouses, however, beer lovers call this area the Brewery District. Starting at the southern end of the district is the Texas Ale Project (1001 N. Riverfront Blvd.). The modern-looking tap room with metal fixtures is a throwback to the industrial area. Enjoy Fire Ant Funeral, an American amber, or the citrusy 50 Ft Jackrabbit IPA while playing Jenga, dominoes or corn hole on the patio. Once you have played a game or two of dominoes, head over to Community Beer Co. (1530 Inspiration Drive). The owners of the company, known as Beer for the Greater Good, use the large, open-air warehouse to bring people together in efforts to build a sense of community, hence the name. On any given Saturday expect the brewery to use its space to highlight local artists, musicians and nonprofits. If it’s available, be sure to try the Funnel Cake Ale, originally brewed for the 2014 State Fair of Texas competition. Brewmasters add pureed Madagascar vanilla beans to this English-style summer ale during aging, leaving it with a taste reminiscent of the fair’s most popular treat. Start your Sunday with brunch at Saint Ann Restaurant and Bar (2501 N. Harwood St.). The 1920s schoolhouse-turned-restaurant has the largest garden patio in Dallas, making you forget you are downtown as you eat your breakfast quesadilla and sip one of the local craft beers on tap. If there is a wait for a table, head upstairs and check out The Samurai Collection, a free museum that houses 60 pieces of samurai art dating back to the 10th century. After brunch hop in a Lyft and head back to the Brewery District to Peticolas Brewing Co. (2026 Farrington St.). 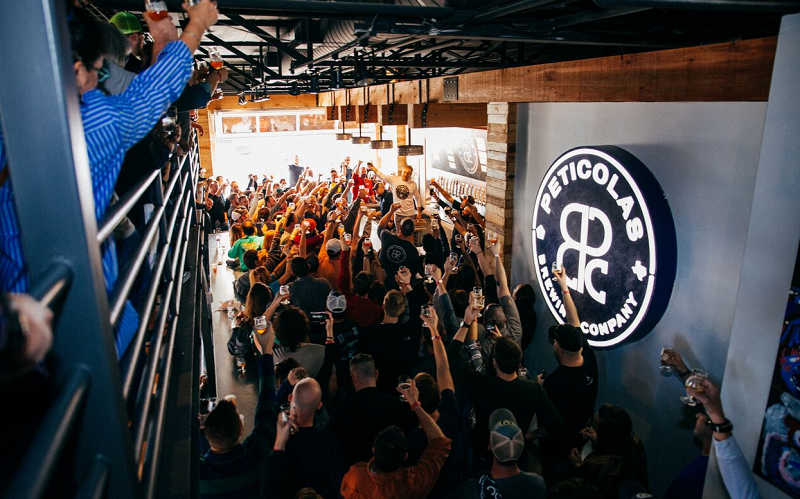 One of the original breweries in Dallas, Peticolas is consistently ranked one of the city’s best breweries. Bartenders pour from 16 taps, one nitro tap and one cask beer in the recently opened 2,500-square-foot taproom. The three-story building has a stage for live music, table games, pingpong, foosball and food trucks. Its flagship beer, Velvet Hammer, a malty dark ruby-red ale, is a staple at many of the city’s bars and is one of the best beers in the state. 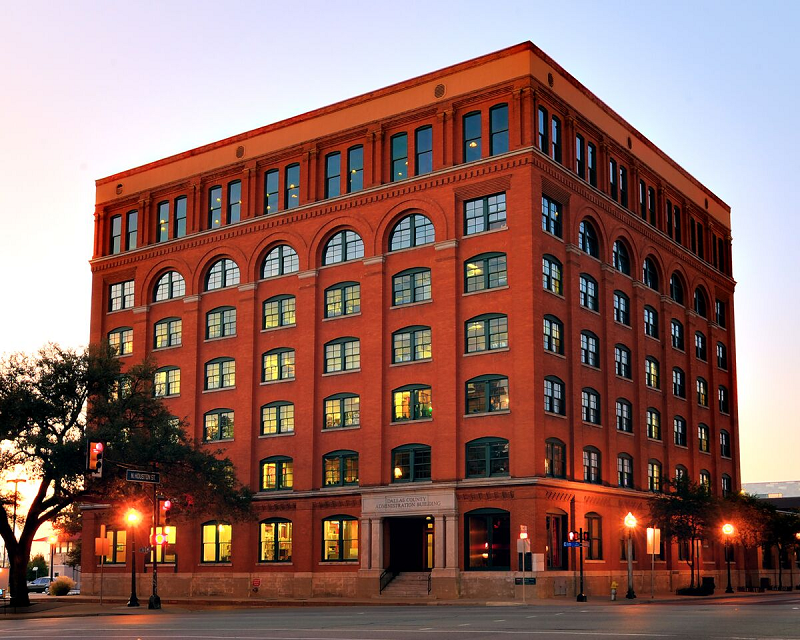 Stop by the Sixth Floor Museum at Dealey Plaza (411 Elm St.) for a history lesson. The museum on the sixth floor of the former Texas School Book Depository chronicles the life, times, assassination and legacy of President John F. Kennedy. Collections also include historic films, photographs and artifacts documenting the assassination and government investigations. Add levity back to your day at the Bishop Cider Co.’s Cidercade (2777 Irving Blvd.). Dallas’ first cidery recently opened this arcade a few miles from its original tap room and brewery. The arcade is packed with more than 80 old-school arcade games. If you are new to cider, ask the bartender to help you navigate the 12 house-made draft ciders. Word of advice, it is hard to concentrate on high-speed games while puckering down the tart Sour Cherry cider. If you can tear yourself away from all the fun and games, end the evening at Four Corners Brewing (423 Singleton Blvd.). The quiet, intimate, dark taproom is a nice change of pace. 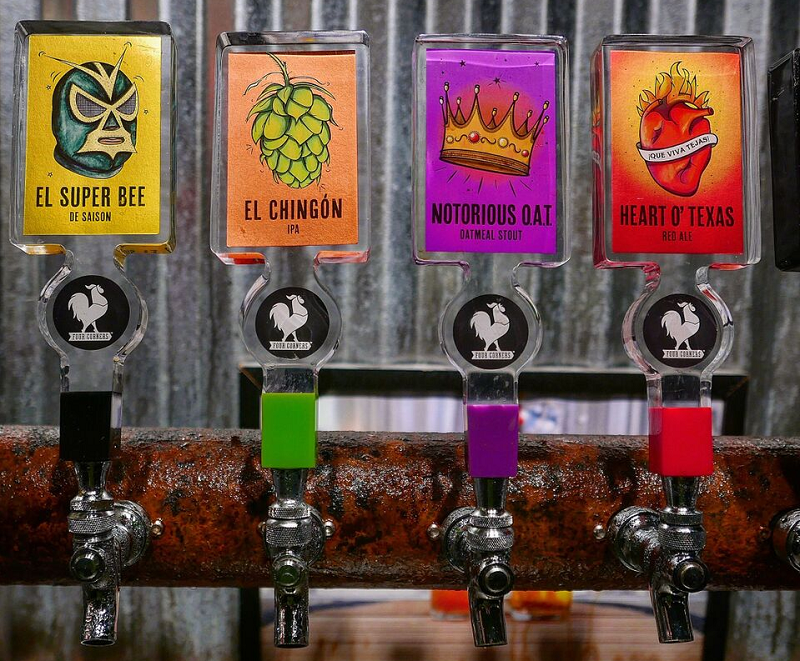 Drawing inspiration from the local Hispanic neighborhood, the owners designed the brewery around the traditional Mexican game La Lotería. Two of the local favorites are Local Buzz, a light refreshing golden ale made with local honey, and El Super Bee de Saison, a spicy Belgian-style beer with a punch. Anybody remember Yegua Creek or Routhe Street brewery? Very helpful, thank you! We are planning a trip to Dallas in September to catch a show and we happen to be craft beer enthusiasts so your article was a guide and will be an aid in planning our itiniary. Cheers!